Dcypher's Street Art Mural | Oi YOU! The Christchurch City Council contracted Oi YOU! 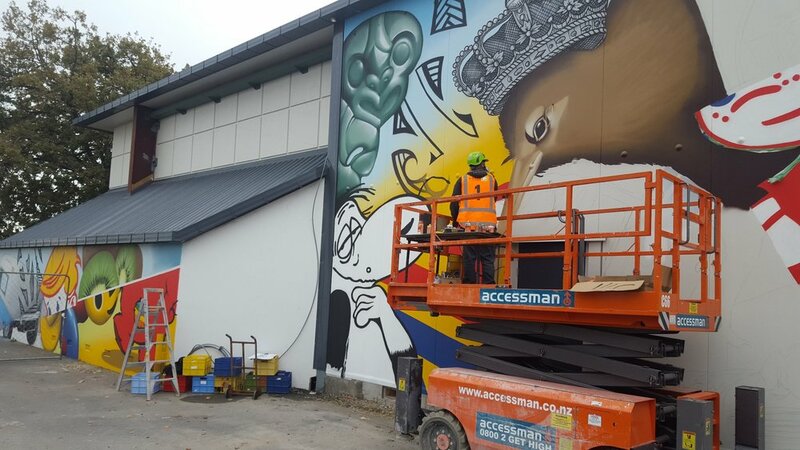 to identify the artist and oversee the process of painting an iconic mural on the Wharenui Recreation Centre. Three options were put forward and a local committee selected the Kiwiana mash up as their favourite. This was produced in time for its reopening after earthquake repairs. The mural has become a local landmark, winning national acclaim for the centre and the council. The three options put forward.